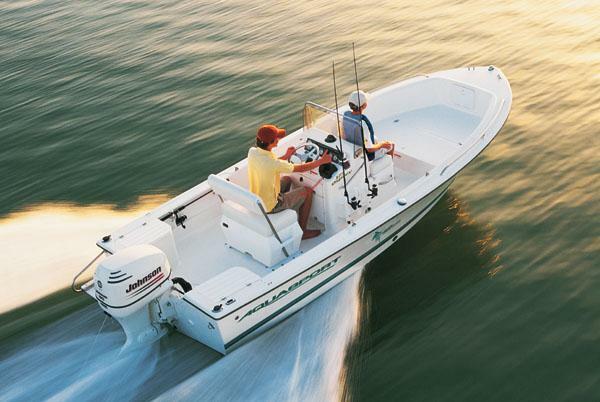 Boat Description The Aquasport 175 Osprey Classic is spacious and uncluttered. There`s an insulated fish box tucked below the casting platform, and a forward console seat / livewell. The console also includes a stainless steel wheel, stainless steel hardware, compass, cooler seat, and there`s even more lockable storage in the helm.